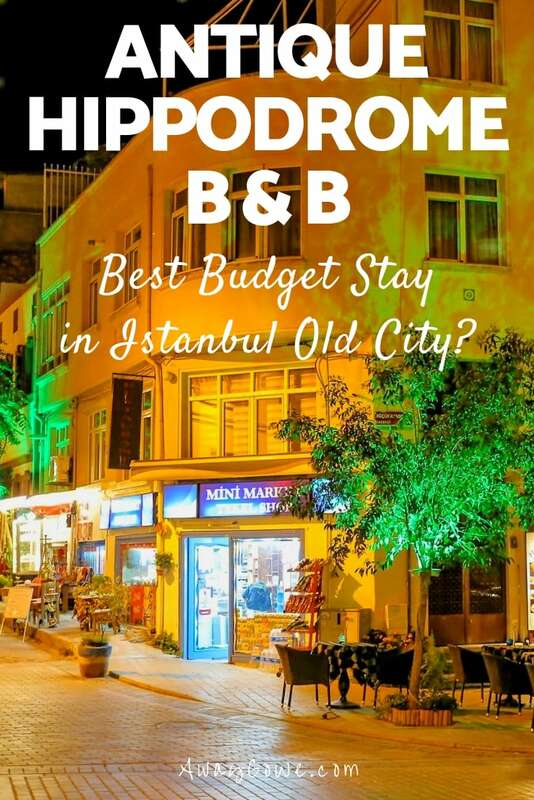 AwayGoWe Posts » Europe » Turkey » Antique Hippodrome B&B: Best Budget Hotel in Istanbul? We knew we wanted to stay in the Old City (Sultanahmet). Generally, we like to stay in the oldest and/or most traditional/ historic areas of cities. On the surface, these areas can seem prohibitively expensive for budget travelers, but deals can usually be found with a little research and persistence. We stayed in the Antique Hippodrome B&B (also known as Antique Hippodrome Apartments, and not to be confused with the far more expensive Hippodrome Hotel) for less than what it would have cost the two of us to get a private room in one of the hostels on Akbiyik Caddesi, Istanbul’s answer to Bangkok’s Khao San Road. We don’t generally entertain bunks/dorms because they end up being almost the same price as a double for two people — for one person, they’re a great deal. Antique Hippodrome, as the name implies, was just blocks from the Hippodrome and Blue Mosque in a historic area bursting with Ottoman ambience. It had a hip little cafe below and a variety of funky, yet clean and well-appointed rooms above. Our first room was an incredibly good deal. 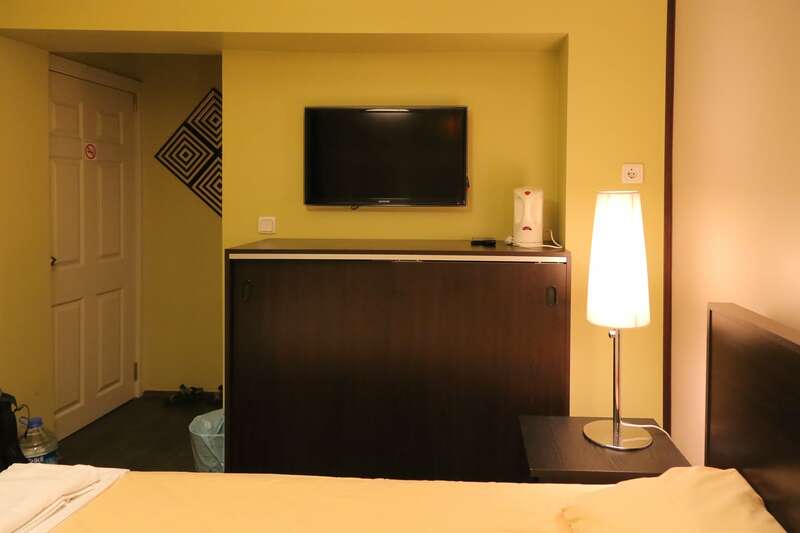 Everything we would want from a hotel far above our budget — AC, fridge, hot shower, double-pane vinyl windows, soft linens, flat-screen TV (that we never use, but makes any room feel fancier), and all in the heart of the city. For a visit to Istanbul, we’d definitely recommend this place. Make sure you get one of their private rooms as they are far superior (and maybe $8-$10 more per night) than the shared bath double rooms. After two nights at Antique Hippodrome, we were moved to another room. We had only booked the first two nights prior to arrival, but when we changed our outbound flight, we needed to add a few more. 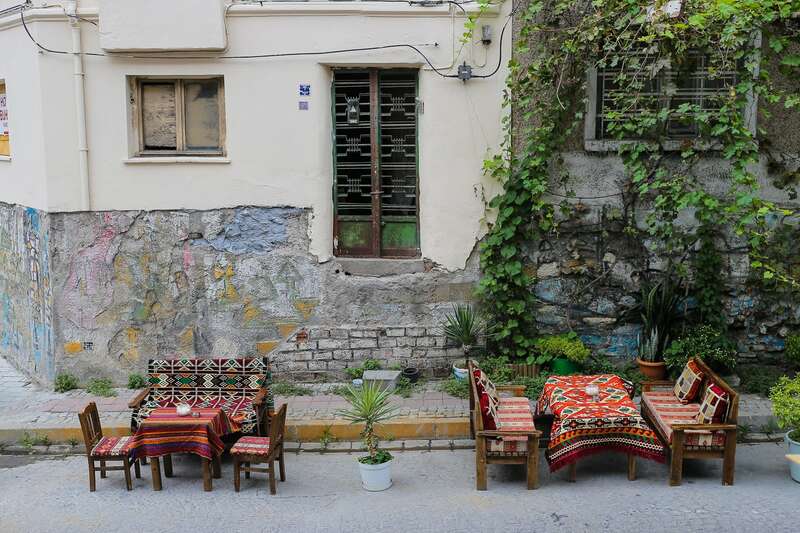 The downside of the new room was that it had only a fraction of the amenities as our first room, but the good news was it was US $10 less per night and we got to watch locals hang out and play Tawula (Turkish Backgammon) from dawn til late at night, in these cozy chairs.